wow! 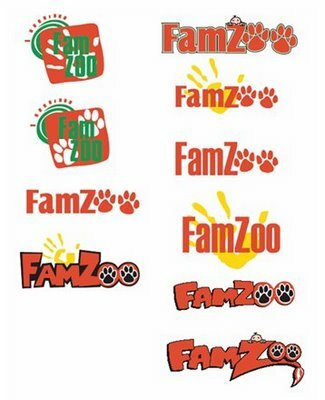 These are all fantastic logos. 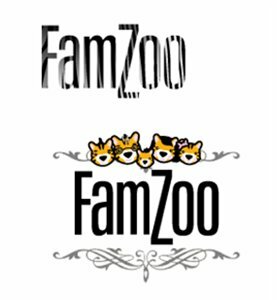 If FamZoo were particularly animal focused, this would be a tough choice. Both Christine and I felt that give FamZoo's Family focus, the animal based logos were too distracting from the mission. because of the families, although they may be hard to reproduce in differnt sizes. 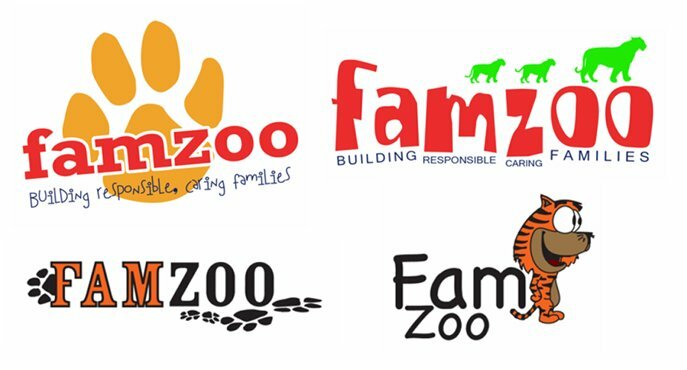 Would love to see more logos with family bent to them. Hope this helps! Eye 4 Design (2.4) and Motor-G (2.1) are most appealing to me conceptually -- relying on a signature logotype with minimal graphic embellishement. The Motor-G logotype to be used with or without the paw. I would request additional concepts with focus on family rather than zoo -- replacing paws with hands, perhaps -- or exploring other simple icons that suggest family. Or, simply a playful (yet professional) custom type-style you like. 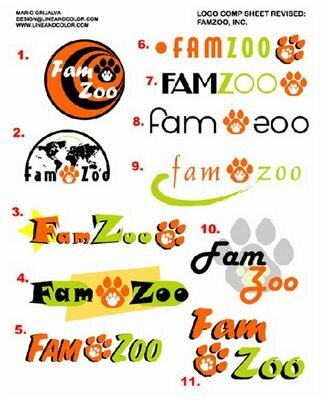 These are all creative, but most put the accent mostly on the "ZOO" part of FamZoo. 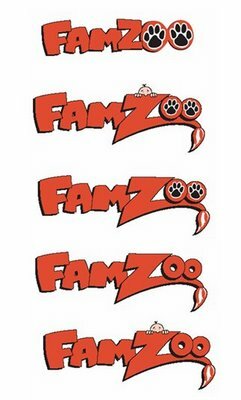 I thought the accent should be reversed, to be on the "FAM" part. 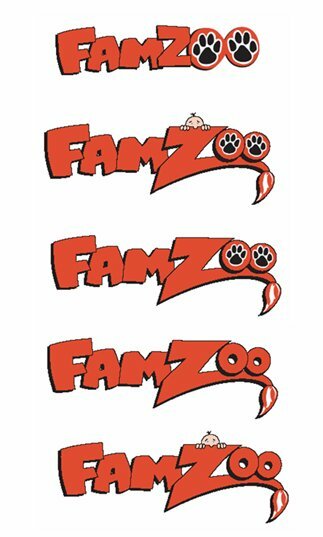 That is, mostly family with a zoo-esque touch. The one I liked the best out of these was the last image of "DNA Dublin's" submission 1 since it had a family that was large enough to see. 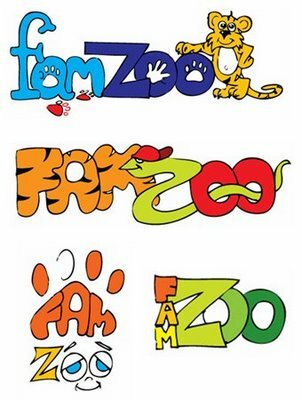 I didn't really like that in the middle "O" in ZOO" was missing, though. 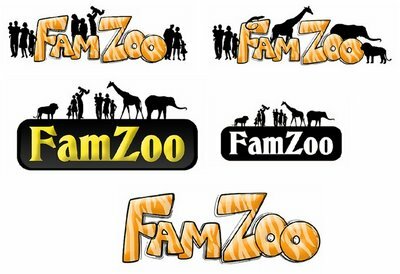 I think the artists should think more along the lines of "Family *AT* the Zoo" instead of "Family *AS* a Zoo". The image that popped into my head that might work requires imagining one of those painted wooden "photo opportunity" structures at the zoo that have animals painted on them with ovals cut out where your kids put their faces inside so they look like they are the face of a lion or a chimpanzee. 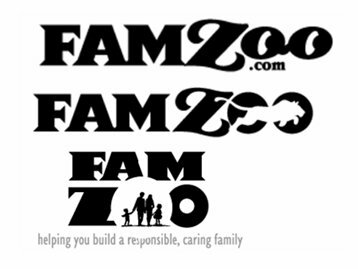 I could see a logo where kids (a boy and a girl) were peeking their faces out of the two letter O's in "Zoo" (maybe with the parents poking their heads out of other letters or snapping a picture or something that made it clear the family was having a fun time together, at the zoo). Definitely simpler is better, you need something that will work when quite small. Overall, I say lose the paws--you won't be able to tell what the heck they are at small dimensions (is that a foot? a flower?). 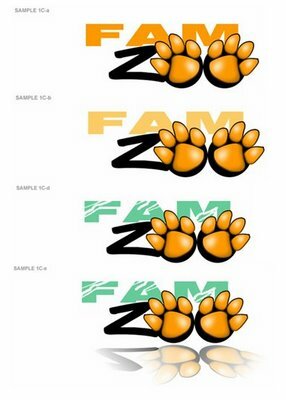 Also a lot of colleges use paws like that (Missouri Tigers, etc.). 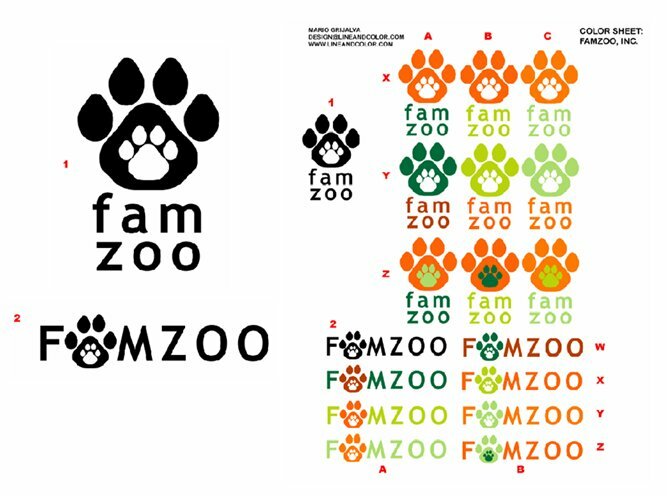 I like the idea of putting eyes in the O's in Zoo, but that may be tough, only one person tried it and it didn't seem to work. Be careful with color and font selection. 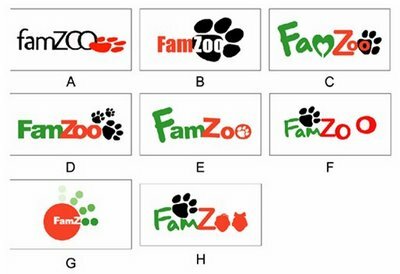 You'll have to live with the colors for a long time, and you'll have to always use colors on the rest of your site that fit with the logo colors. Make sure you really like the colors you pick and don't box yourself in. Same with fonts--stick with a standard if possible, it just makes life easier. 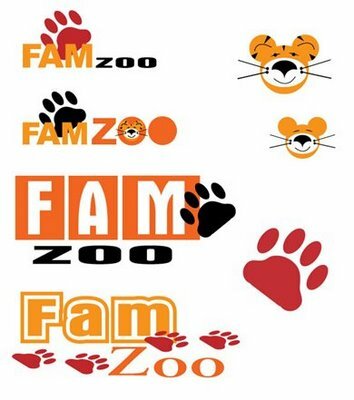 Who is the target market for the logo, kids or parents? I was trying to think of the kid users, and how they'd be a little older and not want something too childish with animals etc.. That lead me to #3, Adrienne Reitz's submission 2, that were fun but a little more polished/older. I'd even push her to make it a little more grown-up. 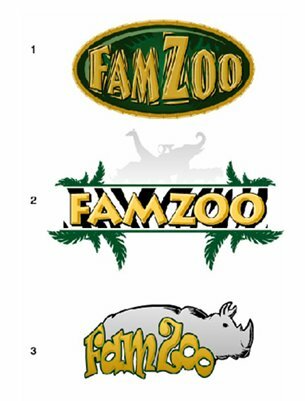 I loved these concepts. My favorite to work with is Motorg 2.1. Would try it without the paw. Would also try it with the family silhouette, either in lieu of the paw, or somewhere around the text (similar to the design that work 2 and Dublin 3 concepts). The question is, which one does Will like best? Despite my own personal bias, which places animals above people, for your purposes, I agree with those that have suggested more emphasis on the human side. For practical reasons, it also does seem that simple is preferable. With this in mind, of those offered here, I would lean toward Adrienne Reitz, submission 2, bottom of five. If it were not for its complexity, I would really like Designs That Work, submission 2, top left. Maybe there is a way to use that general concept, but to simplify it. Good luck! When it comes to logos, I like simplicity, coupled with the ability to be rendered in both B & W as well as color (and preferably only one color in addition to black or white). 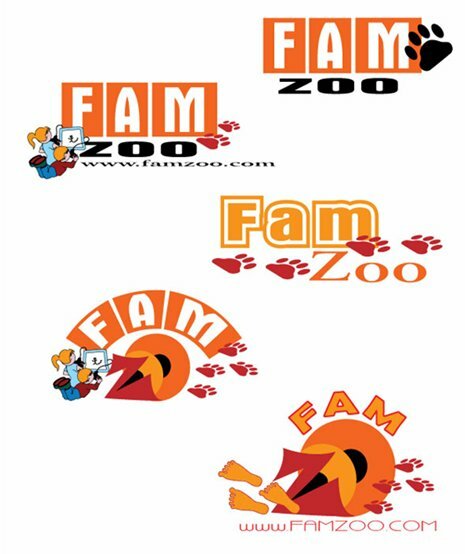 You will be placing your logos on paper, T-shirts, labels, etc., etc. Multiple colors multipIy the costs involved needlessly. I prefer the logos that are focused on the family part of the name. Therefore, of the ones illustrated, I prefer Designs that Work, Submission 2, line 2 and Dublin, Submission 1, line 3. I guess I do have "Blogophopia", since it took me quite a while to figure out just how to read your blogs and see the various logos, I thought I better just e-mail. First I was interested in how this competition all works through Elance.....surely there must be some opportunity to capitalize on this in a business way. 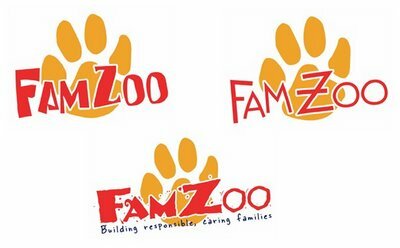 But most importantly loved the various inputs you received - I agree with many of the comments that although paws and animals are fun, may be too much emphasis on the "zoo" and not enough on "family" and this may also detract from the more professional response needed for a real business. 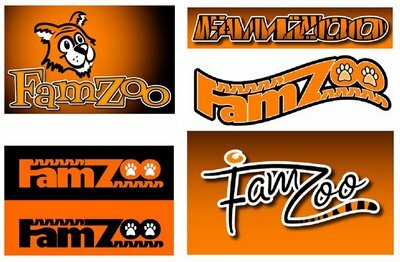 Colors need to be given careful consideration - remember just how long it took to sell the "pumpkin" colored car your father had and colors can become boring and lose their effectiveness. I would suggest that you definitely give Don a heads up on what you are doing and ask for his input. 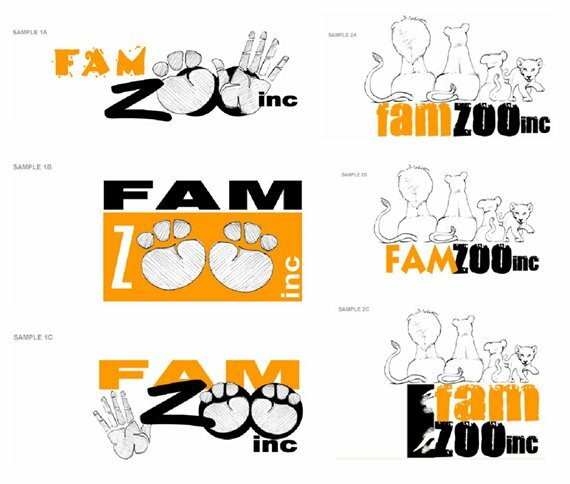 To answer your question: Will likes Designs_That_Work Submission 2, bottom logo (the cartoon block lettering with no adornments). Bill -- Just took a quick look and read through the comments. Keeping your design simple and not 'cute' with primary colors will make your life a lot easier in the future. Feels like I'm jumping on the bandwagon now, but the consensus from my family (mainly my wife) is Designs_That_Work submission 2, 2.2 with some modifications. Simpler is better. The font is great in this one. Would be cool to see the tiger stripes on the text and remove busyness up top. 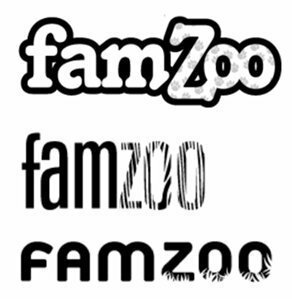 Or alternatively, submission 2, bottom logo. What about Will's logo mockup ? In response to the last question: Will's cartoons (http://www.willtoons.com) will be featured within the pages on the site. Its fun to look at the logos and all the insightful feedback ! In terms of simplicity and incorporating the concepts you outlined in the doc, we like raewellgraphics - submission 1 - bottom right. You might also want to consider building the shape of a house into the logo design to depict "family". Seems like it would convey the idea in a less cluttered way. Bill, Here's my unvarnished two cents. 6 all) If you were opening a shelter for lost animals, these would be an interesting start. Particularly, item C if you were looking to provide mating services. 10 all) I still think they don't pull in the mix of family, busy lives, responsible vision for the future. 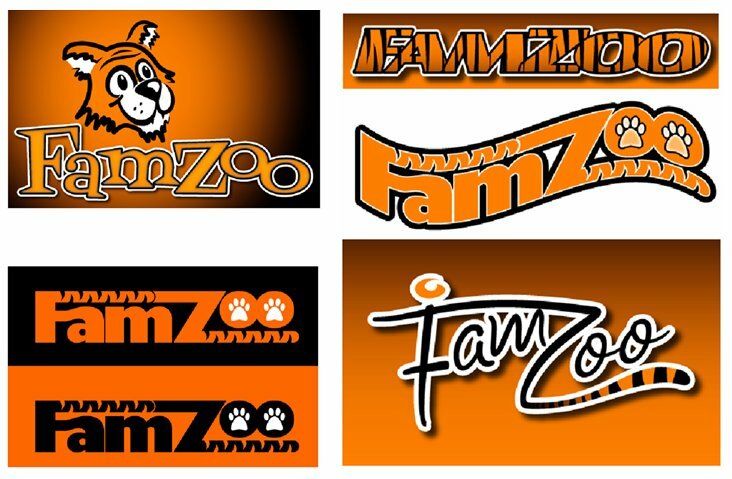 Considering all of these were backside images of the den. 11 all) Again focussed on paws vs goals.